I love 3-day weekends! They are truly the best. Except when you go back to work on a Tuesday and realize you only have 4 days to get 5 days worth of work done. ugh! But on the bright side, we’re one day closer to Friday. Woop Woop! This past weekend, Chuck and I primarily relaxed! We worked on some fun home projects (that I’ll be sharing in the next few weeks!) and spontaneously tried a new restaurant for date night. I don’t know about you, but when Chuck and I are trying to decide where to go for date night, we always go to the same restaurants near our house. This weekend, we thought, let’s branch out and try something new. It was a bit chilly with temps in the low 60’s and I was instantly cold. Which secretly I love, because it totally feels like fall and let’s be real, I’m SO ready for fall weather – it’s not even funny. Sunday night was particularly windy so I dressed up in my favorite fall outfit. 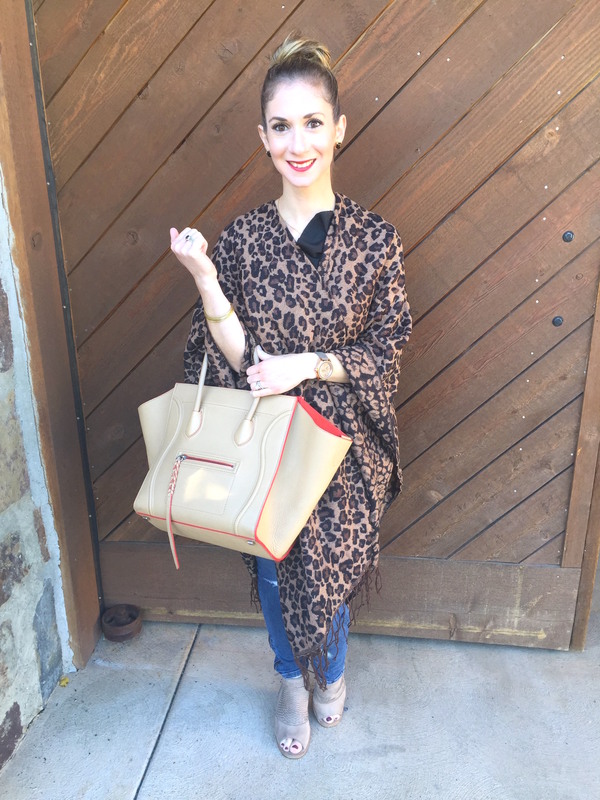 Which leads me to share my top 3 must-have accessories for Fall. Take a look. 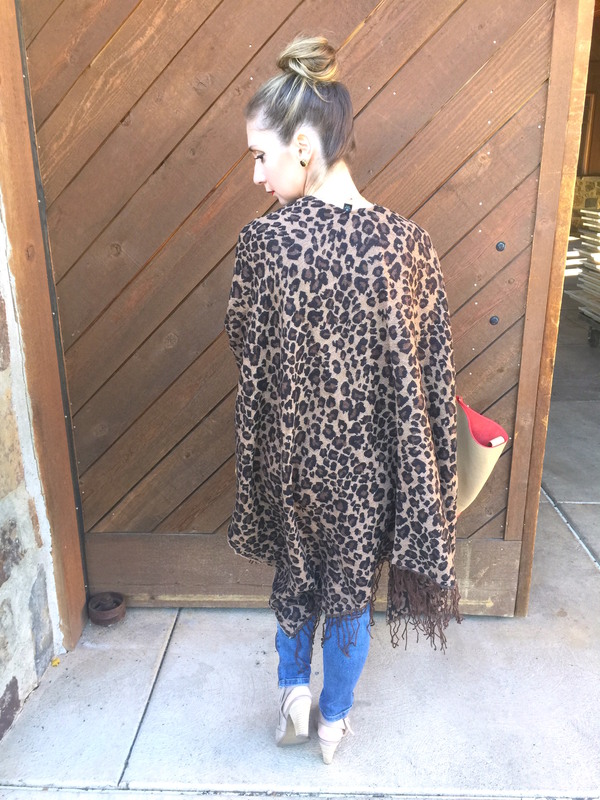 Snag Your Favorite Poncho or Shawl. I saw this poncho at Charming Charlie’s when I was trying to buy a gift for a girlfriend, and had to have it. When I think about Fall, I think about how the weather is constantly cloudy, chilly, and majority of the time misting (at least here in Seattle!) during the Fall months. 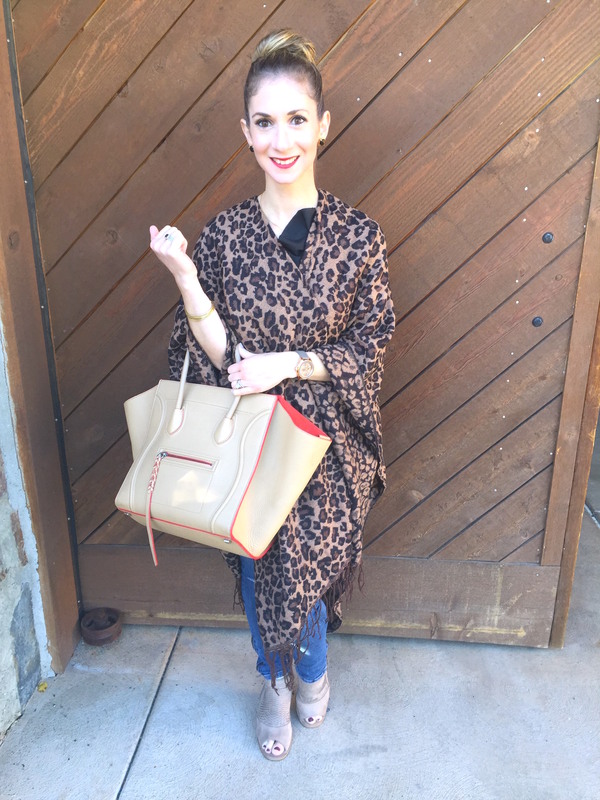 A poncho covers you up, adds a print or statement (like this leopard print one! ), is super comfortable, and can easily be worn to work. If you are looking for one item this Fall, go snag a poncho of your choice. You won’t regret it on those rainy days! Invest in Booties. I am only 5’0 tall and have the hardest time finding booties that don’t make my feet look too big or my legs stumpy (#shortgirlproblems). However, I finally have. Throughout the summer, I’ve been eyeing these Paul Green booties and tried them on 4 times. 4 times! I know. But they are an investment and I wanted to be sure they were going to be comfortable. I’ve worn then for 2 weeks now and I’m in love (and feel like I’m walking on a cloud). So if you’re trying to find the right bootie for this Fall, head to Nordy’s and check out a pair of Paul Greens. If these are a bit too pricy, then try on some Vince Camuto’s. They have a fantastic selection for this Fall as well. 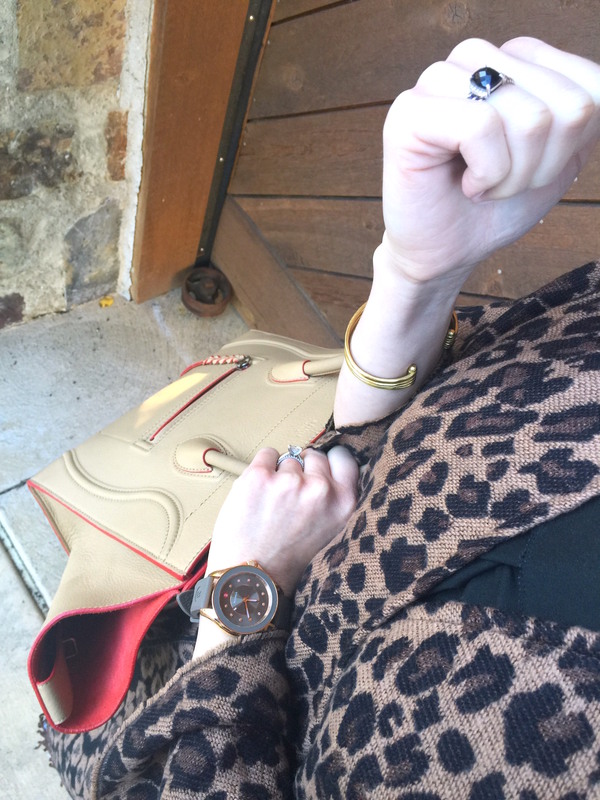 Branch out with a Fun Watch. I’m the kind of gal who has worn my Deco Michele watch every single day for the past 6 years. I never change it up, nor have I wanted to. However, Chuck and I were passing through the mall and he spotted this sporty Michele watch. I instantly fell in love with the band color and the rose gold. And he goes, ‘Babe, it’s perfect for Fall!’ Oh.my.gosh! I was shocked when that came out of his mouth. But I have to say, he was right. 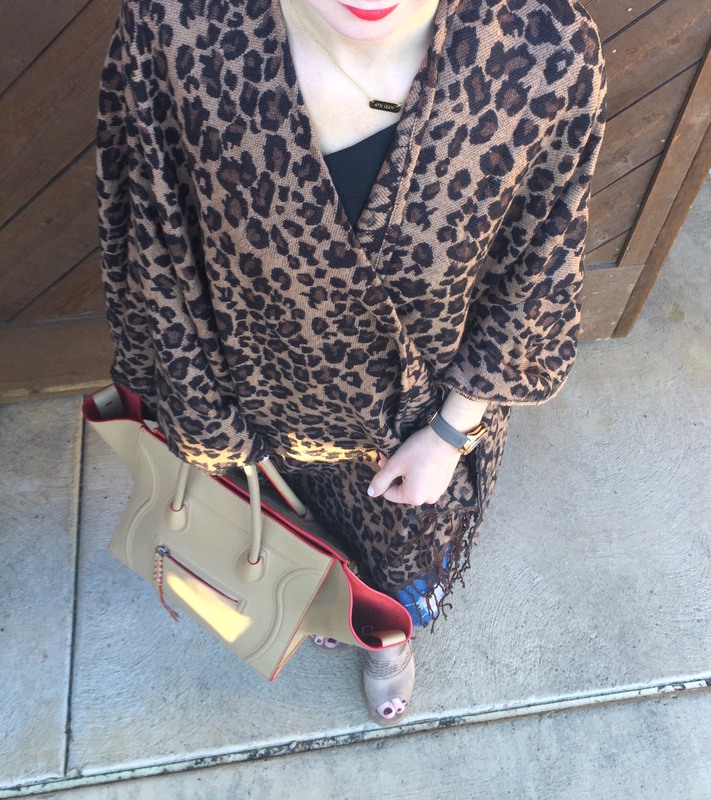 I’ve been wearing it a few days a week and it has definitely added some color and flare to my outfits. 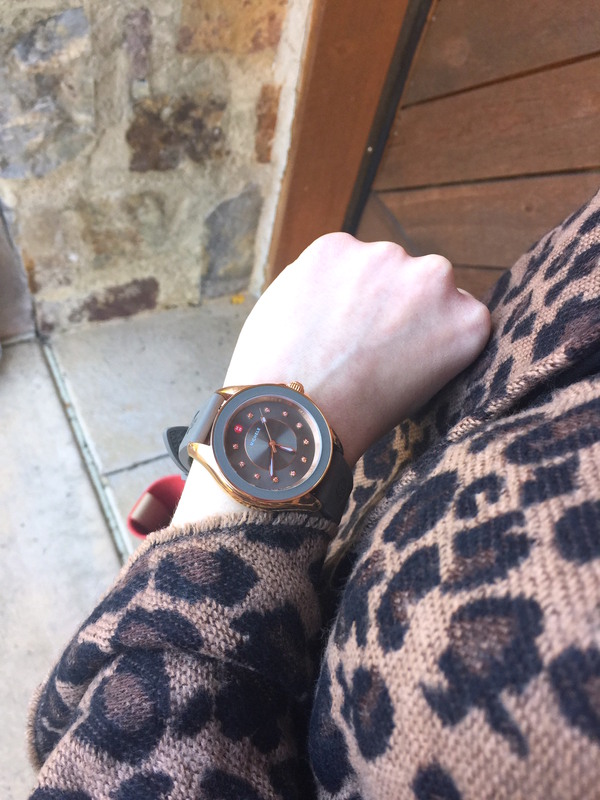 This Fall, try out a new watch that you can switch every few days. 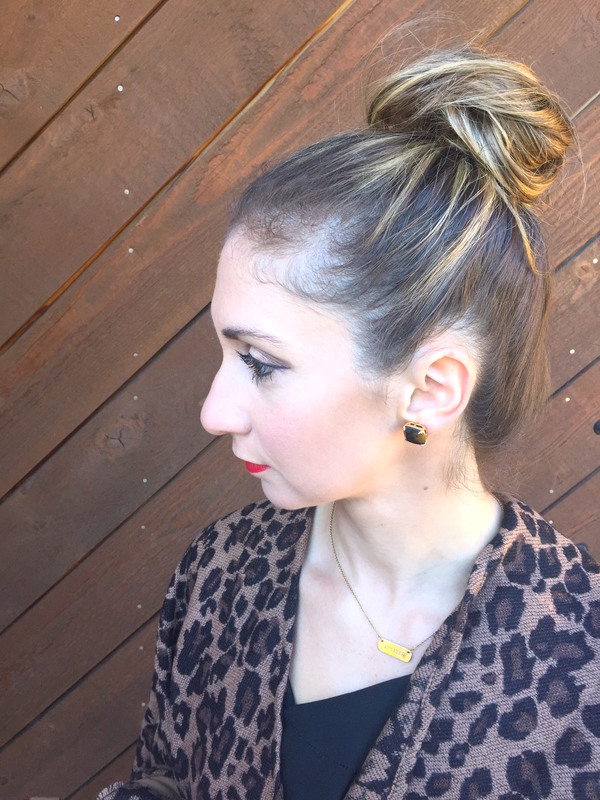 Why not switch things up this Fall? 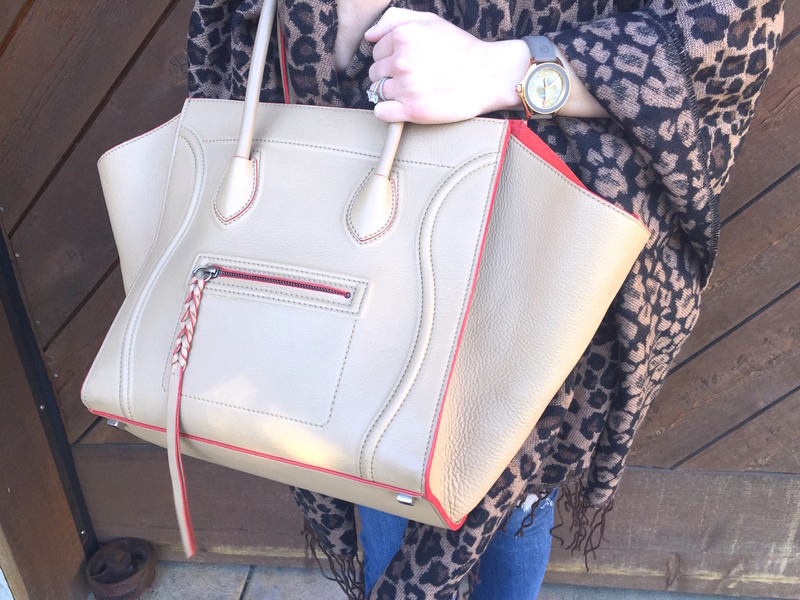 What are your favorite items for Fall?